26 May 2016Accountant Ben’s Power Pasta. We’re on a bit of a health kick here in the office in the run up to the Classic Quarter race in June. Sometimes though it’s good to have a break from super healthy, light, carb-free meals. 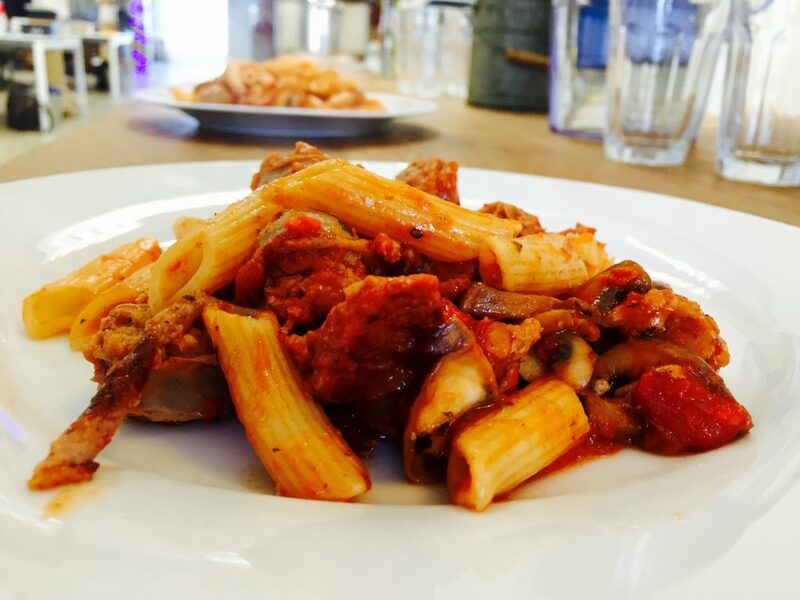 Everything in moderation is a well known life motto, so no-one felt too bad about having a plate piled high with pasta, rich tomato sauce, sausages and chorizo. Some of the team even went as far as dodging the salad on offer. Eating well every day and sitting down together helps us to help you. If we can keep our accountants well fuelled and happy they’ll be alert and super productive. Talking amongst ourselves helps identify new opportunities for clients and explore different ways of solving problems. It’s just one of the many ways which we are revolutionising the approach to accountancy, look out for news coming soon on some great new software which we are currently trialling with a select group of clients.